Nissan bought the company producing the first Datson in 1933, changing the car’s spelling to Datsun at that time. Datsun identified the company’s exported vehicles until 1986, when it was phased out. The name is used again as a budget model in emerging markets. The Nissan Frontier, Titan and XTerra models offer excellent occupant protection. Nissan models tend to be average or above average in collision claims settlement costs. For comprehensive claims, Nissan models lean toward the average to below average side. With so many factors contributing to a single car insurance policy, it’s not surprising that there can be hundreds of dollars in difference between insurance companies. That’s no consolation to the driver who pays the higher price. Finding the best rates, though, has never been easier, now that Ratelab’s car insurance calculator is on the scene. In the time it takes to get a quote from one company over the phone, you can search dozens of Ontario insurance companies for the best match and lowest price. Try it now by entering your postal code in the space above. You could be the next driver saving hundreds on your insurance bill. The table below shows Nissan car insurance cost for a sample driver. Methodology: We surveyed Nissan car insurance prices in select Canadian cities for the purpose of illustrating the average quotes for a male driver aged 35 years in city downtown with owned Nissan ALTIMA 2.5 4DR 2015 model car. Many factors combine to develop a unique risk profile for each car insurance policy. While many of these connect with the driver of an insured vehicle, some come back to the style of the car, how it’s driven and the experience other drivers have with it and similar versions. When a car protects the driver and passengers well in the event of an accident, chances for injury reduce. A car that demonstrates reliability in this department statistically has lower risk factors and more insurance companies will offer lower rates to cover these models. The Insurance Bureau of Canada assists the industry through data collections of auto insurance claims. Against the background of national statistics, it’s easy to compare any model to averages established by all claims. Nissan has three vehicles that perform very well in the occupant protection category. The Frontier, XTerra and Titan models each have 10 or more model years where IBC data shows that fewer than average accident claims arise with these vehicles. A few other Nissan models show positive results here and there, but none have the consistency year after year that these three models demonstrate. When it comes to the basic mandatory insurance portion of Ontario’s auto insurance, look for lower than average insurance pricing on these three Nissan models. With a wide range of four door sedans, SUVs and crossovers, Nissan places well for insurance shoppers of new cars. These vehicle body styles tend to feature lower insurance costs compared with coupes and high performance models due to the types of drivers the styles attract. Across all its models, Nissan as a brand is generally more expensive to insure after an accident claim. A few models repair more cheaply than average, but there is no pattern connected to models as there is for accident benefit performance. IBC data reflects collision claims somewhat differently. Accident benefits claims report by frequency. Collision claims compare each model’s cost performance to national averages. With 100 percent being the mid-point, it’s then easy to see how individual models stack up. From the IBC data, for example, the Nissan Sentra four door sedan shows excellent performance in the 2002 through 2005 model years, with each model year costing less than 75 percent of average to repair after accidents. However, the 2006 Sentra comes in at 105 percent, within the average range. The 2010 Sentra rates at 129 percent and the 2014 at 168 percent. It’s this scattershot characteristic that makes predicting car insurance rates for Nissan difficult without actual insurance company quotes. In this case, the only pattern seems to be that recent model years are more expensive to repair than older models. While that may seem intuitive, it’s not always the case with each car maker. Comprehensive insurance claims show a similar tendency. For Nissan, it’s not quite as random as collision claims, but still a feature. Titan models from the 2007 model year onward show a distinct trend. However, it’s not a positive trend regarding low insurance prices. This Nissan model consistently has comprehensive claims settlements above average, starting from 238 percent above up to 394 percent. The Nissan Titan costs more to obtain comprehensive coverage due to that. Nissan has models affected by the Takata airbag recall, the largest recall in automotive history. For a complete picture of what these recalls mean, see the complete story including vehicle lookup offered by Car and Driver. 2013 to 2015 Nissan Altima sedans may have unexpected hood opening issues. Altima sedans from 2013 have spare tires which could be over or under-inflated significantly. 2013 Nissan Altima, Leaf, Pathfinder and Sentra models may have a faulty front passenger airbag. This stems from a sensor issue, not an airbag issue as with the Takata recall. Though it affects less than 200 vehicles, the 2015 Nissan Armada SUV has a powertrain problem that carries increased rollaway risk. 2012 to 2014 Nissan Frontier pickup trucks have recall due to fire risk. Less than 200 2014 Nissan Leaf electric vehicles have an inverter problem that could cause unexpected vehicle shutdown. 2012 to 2014 Nissan Juke models may have fuel leaks leading to increase fire risk. 2014 and 2015 Nissan Pathfinders have loose bolts that could affect braking or steering. Edmunds.com provides a more thorough list of Nissan recalls. There are insurance deals to be had in the Nissan lineup, particularly with some models of used vehicles. Sticking to the sedans, SUVs and crossovers keeps the models in the auto insurance sweet spot, and shopping many insurance companies reveals the best pricing. Every driver has a comfort zone for insurance coverage. The absolute lowest price is secondary to the right insurance features. Educate yourself about the options the auto insurance industry provides overall, since not all companies offer all services. For example, a new feature in Ontario is telematics-based insurance. Participating earns a 5 or 10 percent savings immediately, and further safe driving discounts come downstream. Only a few companies offer this at the time of publication, so cheaper rates may still be available from other companies, even without these discounts. When the average motorist considers auto insurance only once a year at renewal time, becoming insurance savvy takes effort. Nissan Motor Company is a Japanese based multinational automobile company headquartered in Nishi-Ku Yokohama, Japan. In the year 2013, Nissan was ranked the sixth largest automobile manufacturer after Toyota, General Motors, Volkswagen Group, Hyundai Motor Group and Ford. Nissan is the leading automobile brand in Russia, China and Mexico. 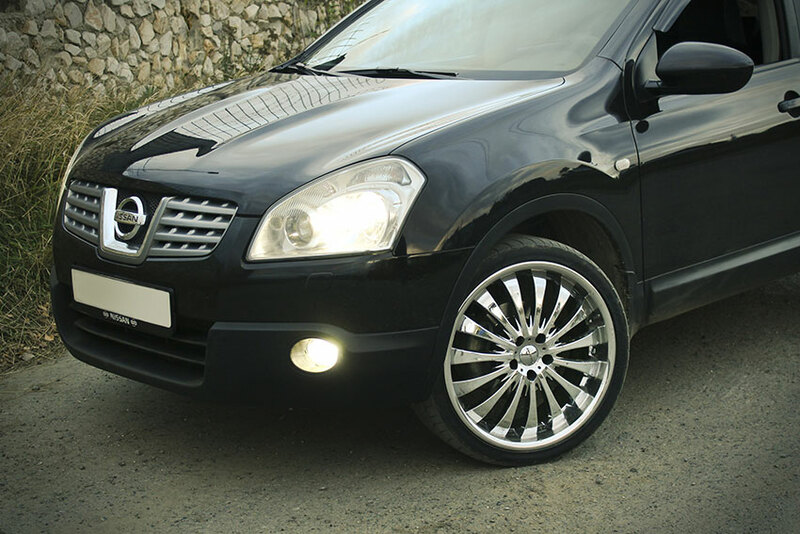 Nissan sells its products under the following brand names: Datsun, Infiniti and Nissan. The Nissan Sentra and Nisan Micra are popular Nissan models in Canada. They are both ranked among the top twenty best-selling cars in Canada. Nissan Sentra is ranked tenth in the list while the Nissan Micra ranked twentieth. When selecting a vehicle, safety is one of the most important factors to consider. Some of the safety features in popular Nissan models include front-seat mounted torso airbags, anti-lock system (ABS), side airbags, rearview camera, forward collision warning, lane departure warning, body structure, front and rear head curtain airbags, electronic stability control, and child safety locks. Nissan’s commitment to security and safety has earned a reputation in Canada. The National Highway Traffic Safety Administration gave Nissan Sentra an overall safety rating of four stars while the Insurance Institute for Highway Safety ranked them as “good” overall. Nissan is a very popular brand in Canada, especially the Micra and Sentra. Their parts are readily available in stores all over Canada and are relatively inexpensive. Considering sporty cars that are reliable, Nissan models are among of the most reliable car models. In a list of the ten most reliable cars Nissan, ranked sixth. The Nissan models are not specially targeted by thieves. The Nissan Rogue is ranked tenth on the list of least-stolen vehicles in Canada. This may be attributed to its anti-theft system or the security systems installed on the model.